It would be wonderful if one diet worked for everyone, and it could be handed out like a prescription in doctor's offices worldwide. Unfortunately, human beings are more complex than that. In the paleo community, we all start with the same template, but through a series of self-experiments, we personalize our diet to our own unique needs, and those needs might change over time. For me, the paleo autoimmune protocol (AIP) helped me identify nightshades and dairy as inflammation triggers. I also did a starch experiment, where I learned which starches my body does and doesn't like. But that doesn't mean I learned the perfect diet for everyone; I'm just perfecting my diet for me. This is one of the messages of Robb Wolf's new book, Wired to Eat. Today we talk about our own health journeys, the 7 Day Carb Test that's taking social media by storm (and how to adapt it for the AIP). We also talk about why it's hard to change, letting go of shame, and strategies for prioritizing health in our modern world. Sorry For Podcast Delay – Due to a website crisis, we went 3 weeks between episodes instead of the usual 2 weeks. Thankfully, everything is now fixed, and we'll be back to our normal biweekly podcast schedule from here. They now sell Mini Hot Logics, which are a convenient way to heat food up when you travel. They can plug into any outlet, including your car! Update 2019: POTG no longer sells these, but you can buy them through Amazon: Hot logic and Car inverter. 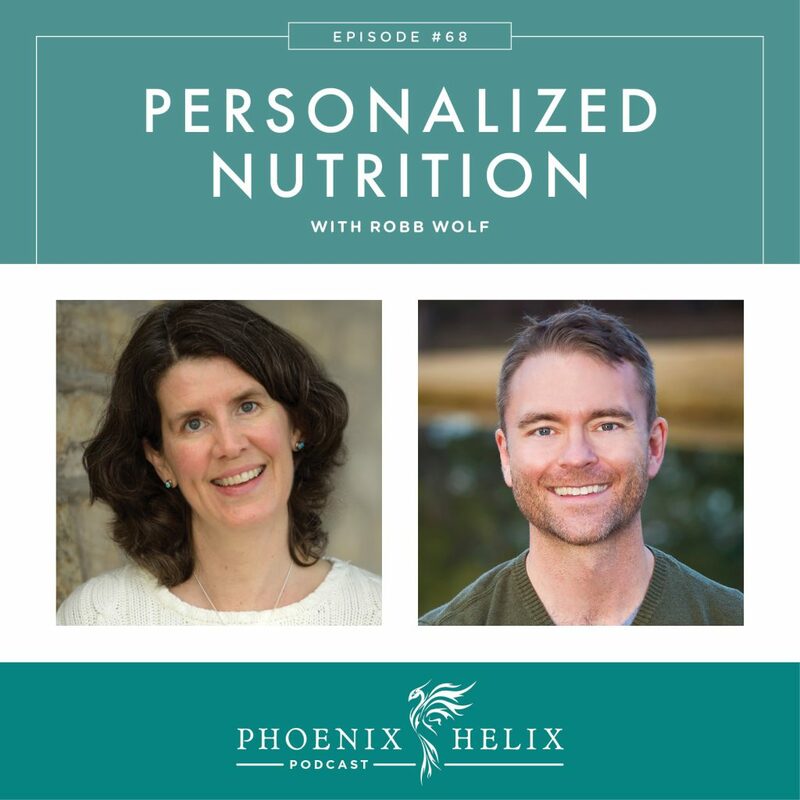 Robb is a former research biochemist and one of the world’s leading experts in paleolithic nutrition. He is the author of two New York Times Bestsellers: The Paleo Solution and the recently published Wired to Eat. 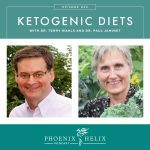 He began his paleo journey back in the 1990’s when very few people had heard of it, with profound results. At a time when doctors were recommending he have bowel resection surgery, he successfully reversed his ulcerative colitis. Since then, he has sustained his remission. While his UC is no longer active, he does need to monitor and care for his health more actively than a person without an autoimmune history. He's extremely sensitive to gluten and has learned to educate staff at restaurants about cross-contamination measures. Sleep in particular can negatively impact his digestion, and he's also had 2 giardia infections that took a long time to heal. That said, he has more energy, strength and vitality than most 45 year-olds he knows, and he's very grateful to the paleo diet and lifestyle for transforming his health. His genetic testing shows a high risk for developing diabetes, and his personal dietary experiments bear this out. He has a high blood sugar response to most carbohydrates and feels best on a low-carb paleo diet. Being aware and mindful of this tendency has allowed him to prevent diabetes from developing. 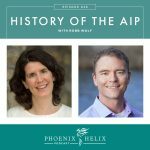 Tune into Episode 28: History of the AIP for my first interview with Robb. It's a favorite episode for both of us. Its power in improving autoimmune health and the growing amount of research supporting this. 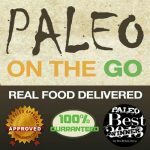 Resources: Paleo Diet Clinical Trials and Studies and the Connection Between the Microbiome and Autoimmune Disease. The backlash by the general public and conventional medical community who refuse to acknowledge the positive impact this protocol can have on health. The fights within the paleo community about carbohydrate intake, with people on both sides of the debate claiming there's one right answer for everyone. It's human nature to become religious about a discovery that transforms our own health, and a common mistake to think that same intervention will help everyone. Robb used to believe this himself – because he does well on a low-carb diet, he assumed everyone would benefit from that approach. Over the past decade, he's seen otherwise – that different people have different levels of carbohydrate tolerance. All species survive through “optimum foraging strategy” – getting more energy from food than it takes to find it. This translates to eating and then resting. This worked well in ancestral times, but in our modern era of limitless food readily available, we are genetically wired to overeat and underexercise. That's why it's hard to change our diet and lifestyle: we need to override our biological impulses. In addition, modern food science engineers products specifically designed to override appetite regulation. We can also do this ourselves even when eating whole foods. If we alternate between salty and sugary foods with varied textures, we can consume far more than we would otherwise. This is called hyperpalatability. Check out this video of a who a man overcame nausea in an ice cream eating contest by pausing to eat french fries before returning to the ice cream. Awareness is the first step to change, and it helps to remove foods from the house that trigger this eating pattern. Healthy change is absolutely possible, but we need to stop judging ourselves and others when it's hard. That's a strategy that holds us back rather than moves us forward. This test provides information that can help us keep our blood sugar balanced, which improves appetite regulation, mood, energy levels, microbiome health, and autoimmune health. People who are insulin sensitive can tolerate more carbohydrates than people who are insulin resistant. One of insulin's main jobs is to help regulate blood sugar levels. The results of the 7 Day Carb Test show our insulin response to specific foods and also a general pattern. For example, Robb is insulin resistant and his wife is insulin sensitive. Yet, they both also learned which carbohydrates are processed best by their bodies (and in which amounts). Robb's Youtube Channel includes videos of Robb and Nikki's personal carb test results. The 7 Day carb test follows a paleo reset. You don't jump to it straight from a Standard American Diet, because the healthier diet will begin the process of stabilizing your blood sugar and improving how you feel. 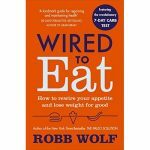 Wired to Eat has four 30-day meal plans with recipes: standard paleo, transitional ketogenic, full ketogenic, and AIP. Once you've been following a paleo-style diet for at least 30 days, you can start experimenting with figuring out your personal carb tolerance. How to do the test: Pick 7 carbohydrates that you'd like to test – 1 each day for 7 days. (You can do more tests, if you'd like, but this is a good starting place). First thing in the morning, eat 50 effective grams (the number of carbs once you subtract fiber), unflavored without any other food alongside. 2 hours later, test your blood sugar using a glucose monitor. Anything between 90-115 is a healthy reading. If your blood sugar comes in high, you can retest a smaller amount (25 grams), to see if you can tolerate that carbohydrate in smaller amounts. Wired to Eat contains a carbohydrate table that tells you how much of each food equals 50 grams of effective carbohydrates. This is an unusual test, because we don't usually eat carbohydrates without any added flavoring and by themselves rather than alongside a meal. Robb's reasoning is threefold: (1) It determines your blood sugar response to this food without adding in other food factors. (2) It lets you experience palate fatigue and realize how much the flavors we add influence the amount we eat. (3) There are a lot of blood sugar beliefs that aren't always true. For example, adding fat to a carbohydrate is supposed to moderate its blood sugar impact, but this isn't always true. It's something you can play around with later. Other potential blood sugar stabilizer are a tablespoon of apple cider vinegar in water, or intense exercise. But how effective these tricks are depends on your insulin sensitivity/resistance. This carb test eliminates other variables so you can see your pure response to that food, and how it varies compared to other foods. In addition to monitoring blood glucose response, also pay attention to how you feel after eating the food. It might cause brain fog, or mood swings, or digestive distress, etc. Subjective measures are just as important as the number that shows up later on the glucose monitor. One last interesting note: sometimes a food intolerance can spike a blood sugar reading. Not always, but it's interesting to see if that connects for you. How do you combine it with the AIP? If you're in the elimination phase, only test carbohydrates allowed on the protocol. If you're in the reintroduction process, buy a glucose monitor and after you reintroduce a full serving of a specific food, take a blood sugar reading 2 hours later. Add that data to your symptom journal. If you've already finished reintroductions and personalized your diet accordingly, you can test the carbohydrates you regularly consume. If you notice your blood sugar fluctuates more widely surrounding your menstrual cycle, choose to do your carb test at a time of the month when your hormones are the most stable. Molecular mimicry, gut permeability and inflammation are core aspects of autoimmune disease and also influence neuroregulation of appetite. Remission isn't possible when blood sugar is out of control. New research is indicating that most chronic disease has an autoimmune component, including cardiovascular and neurodegenerative disease. Shortened or disordered sleep severely impairs insulin sensitivity, increases inflammation, and shifts the immune system response toward the autoimmune spectrum. While poor diet absolutely affects health, it doesn't immediately kill you. Sleep deprivation will kill you within 1-2 weeks. For this reason, the Guinness Book of World Records no longer allows this a a competition category. Challenge the “false choice mindset”. Often we convince ourselves that life is too busy to live in a healthier way. We use what Gretchen Rubin calls a “false choice” – claiming that if we add a healthy habit, we'll lose something else. For example, “If I go to bed earlier, I'll lose my quality time with my husband.” Or “With the demands of my job, home cooking's not an option.” When you feel yourself saying these ultimatums, stop and question whether they are really true. Usually, they're not. It's absolutely true that healthy changes require both planning and effort, but the first step is acknowledging that it's possible. Take an honest look at where you're spending time. Robb now restricts his time on social media, because in the past, he would lose 3 hours a night down that rabbithole. Combine healthy habits together. This is what Robb does, and here's an example: He exercises with his children outside whenever possible, to combine healthy vitamin D, circadian rhythm entrainment, quality bonding time with his kids, and his fitness goals. Look at you financial burden and how it might be driving your choices. Robb and his wife intentionally live below their means, so there isn't pressure for them to work overtime. This took years for Robb and his wife to achieve. They had a lot of debt to overcome, and a combination of goal setting, discipline, and specific choices got them where they are today. Lastly, look at the emotional motivation behind your choices. This can be challenging, but there are often layers of reasons that first need to be uncovered before we can succeed with longlasting change. Podcast Episode 31: Healthy Habits and the Gretchen Rubin Book Club. Podcast Episode 55: Saving Time in the Kitchen. Follow the Money: a list of links and resources to improve your financial health. Robb Wolf's books are The Paleo Solution and Wired to Eat. His website is full of information as well, and he has a great podcast called The Paleo Solution. I had the pleasure of being his guest on Episode 321.